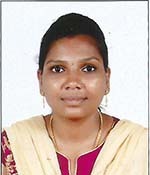 I am Jyothi C. Rajan, an Ayurveda professional therapist from Southern India (Kerala) who holds a Diploma in Ayurveda Panchakarma from the Soukhya Charitable Trust Ayurveda Hospital Thodupuzha. I have worked in a number of reputed places in India such as Shathayu Ayurveda in Hyderabad, the Sanjeevan Ayurvedic hospital of Bangalore, and the Tamara resorts in Coorg. I come from the land of Kerala which is called “God’s country” and where Ayurveda has been practiced for a long time. Its principles are followed there even today. I started dealing with Ayurveda a long time ago because I wanted to help people and heal them. Ayurveda as a social and preventive science has made my life change for the better. Ayurvedic methods are an excellent way to cure diseases and this has changed my life forever. The knowledge based on the three doshas (Vata, Pitta and Kapha) easily explains the nature of the human body. Eat only when hungry, eat light food according to your dosha (Prakriti), and avoid heavy foods in general. Ayurveda is the first medical science to cure diseases, which is said to be more than 5000 years old. However, its primary goal is to prevent the occurrence of illness.